In 2016 the BLS reported 39,300 employed Occupational Therapist Assistants. With nearly 40,000 OTAs employed, it is surprising how many people don’t know where OTAs work. Occupational Therapy Assistants work in a variety of settings and some of these settings aren’t very well known. We get asked quite frequently, where do occupational therapist assistants work? So, today we are going to share a complete list of places that occupational therapist assistants work. Hopefully our list of places where OTAs work will help give folks ideas for advancing their careers. Many patients are faced with debilities after they have been involved in an accident or suffered an injury. This often means they have to figure out new ways to perform everyday tasks. Thankfully, OTAs can provide patients with the help they need. Occupational therapy is different than physical therapy. However, OTAs often work alongside PTs. This is especially true in rehab settings. It shouldn’t come as a surprise that OT Assistants work with OTRs in Occupational Therapy Clinics. 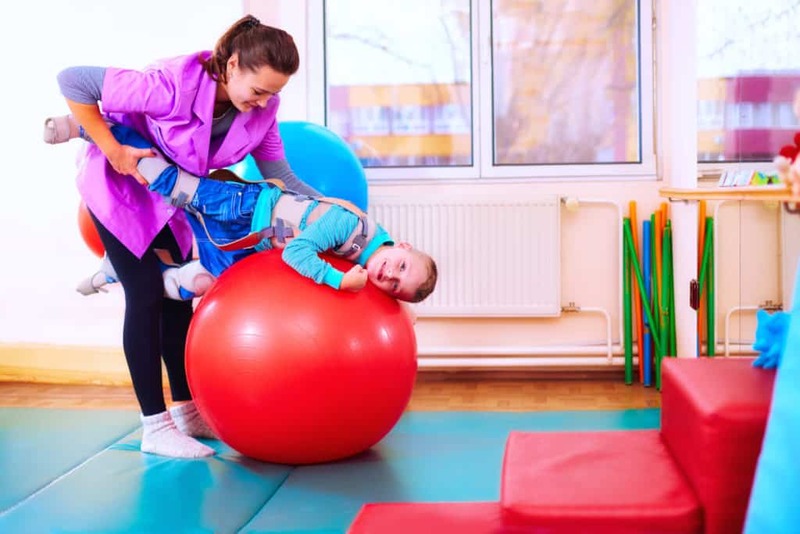 Although some OT clinics are specialized for pediatric activities, geriatric activities, or some other type of patient’s activities, many clinics also see a variety of types of patients. This can make the work environment more interesting with a variety of patients to work with. 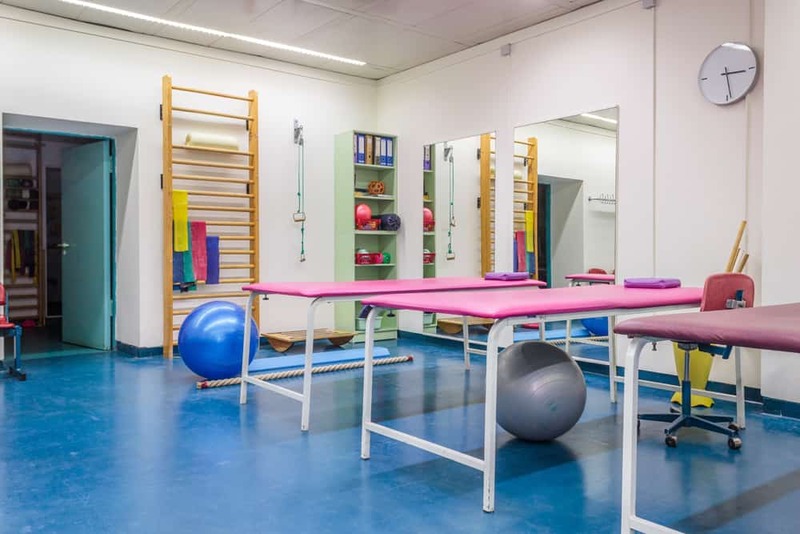 OTAs that work in Medical Rehabilitation Centers works with patients to help them restore lost functions from a variety of traumatic injuries and/or conditions. Some of the work Occupational Therapist Assistants may do includes assisting transporting patients and modifying objects that are used in everyday functions, such as pencils, toothbrushes, and forks to name a few. It is also common to help patients through their simple daily routine tasks such as taking their medicine and eating their meals. There are various types of rehab centers. OTAs work in many of them including drug and alcohol rehab centers. In this setting, an OTA might work with those who have medical issues stemming from a substance abuse problem. Typically medical issues caused by a substance abuse problem cause patients to suffer with include short-term memory loss and abstract thinking problems, similar to Alzheimer’s or Dementia patients. OTAs will employ a variety of occupations to help substance abuse patients with their daily living and recovery efforts. Everything from helping with adaptations to complete the patient’s ADLs to exercises to improve their memory and cognitive thinking abilities will be performed by OTAs. In addition to working with patients who are dealing with speech challenges, OTAs also work with those suffering from other cognitive issues as well. This includes communication impairments and speech impairments. Motor problems associated with the mouth might also be included. It is common for the OTA to set up equipment, prepare patients for appointments, record vitals, and other info, measure patient progress and assist the Pathologist during patient visits. OTAs also work with audiologists in a similar way to working with pathologists. Much of their duties and responsibilities will involve setting up equipment, recording patient info, and assisting the Audiologist. They can assist the Audiologist in treating patients with hearing impairments which in turn helps patients communicate more effectively. OTAs may also work directly with patients on exercises and occupations for the patient to perform to improve hearing ability. 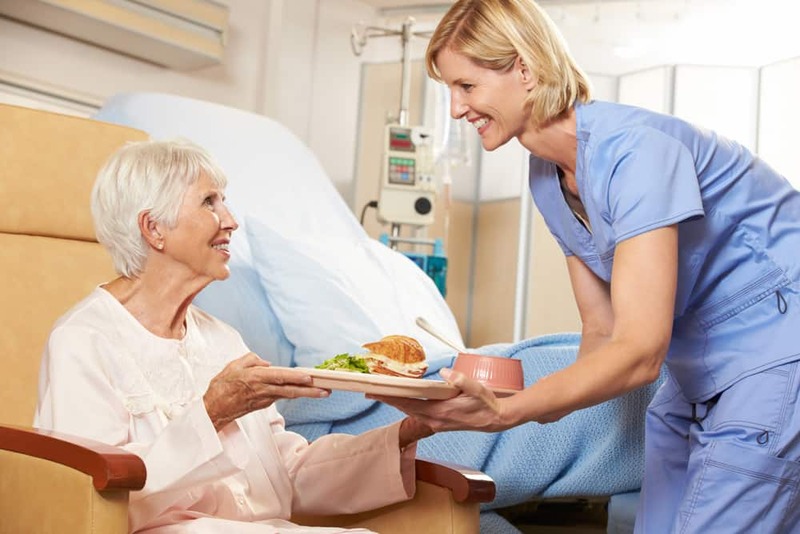 Nursing homes are also a common place where OTAs work. They help geriatric (elderly) patients live as independently as possible. They do this by providing them with solutions that can help with issues associated with dementia, injury or illness. 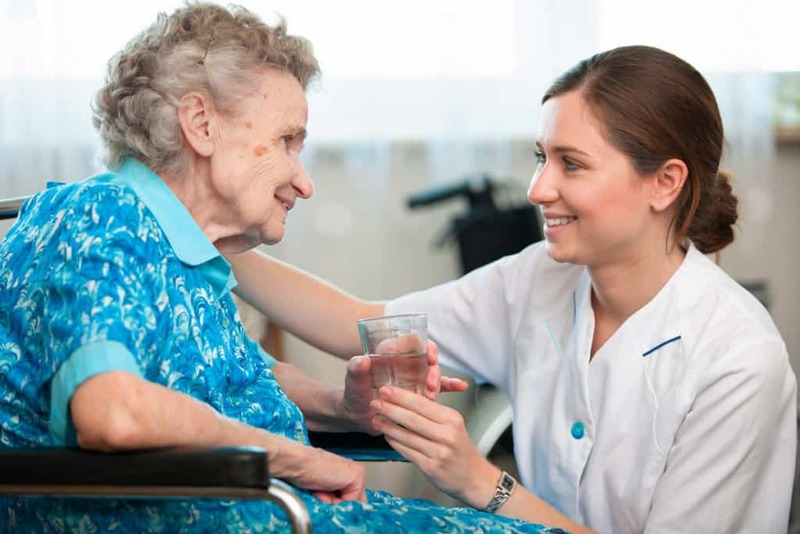 Most nursing homes employ a staff of Occupational Therapists and Assistants. Many patients within a nursing home are survivors of stroke or Parkinson’s, as well as other debilitating illnesses. 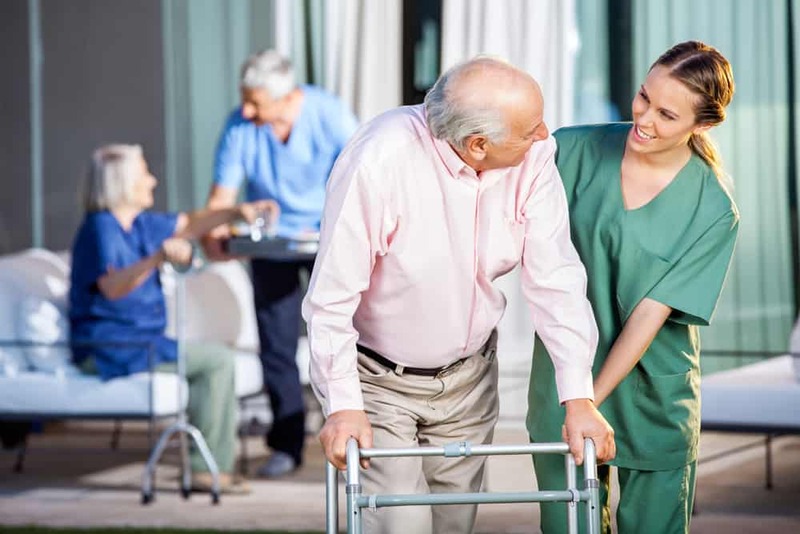 OTAs work alongside OT, PT and other Medical professionals to help patients maintain a certain quality of life, as well as maintain independence, to a degree. In this type of situation, OTAs may learn about their patient’s lifetime habits and their former occupation. They may learn about their preferences too, so they can further tailor their treatment. After that, they may implement recommendations to keep patients active and happy while maintaining as much independence and ability to carry out daily functions as possible. Halfway houses, also known as assisted living homes, provide residents with assistance in the areas they need while allowing them to live independently in the areas of their life that they can manage on their own. Hence the name, halfway house, as it is half assisted living and half independent living. Besides helping people with Activities of Daily Living (ADLs), an OTA might provide guidance to their patients. This can be in the form of assisting with life skills involving cooking, cleaning, personal hygiene, social interaction, occupational responsibility and more. For example, an OTA might work in a halfway house and help people with balancing checkbooks or to prepare themselves to go out on job interviews. OTAs work in school settings. They work with parents, students and teachers to create learning solutions. Students who face various obstacles from learning disabilities and other conditions can benefit from working with an occupational therapy assistant. OTAs can help kids with everything from ADHD or ADD to handwriting activities. They can use methods to help kids with ADHD to focus, engage and participate in school settings where they typically struggle. They can also recommend programs outside of school that further address the condition at home and in other scenarios. Finally, occupational therapist assistants work with patients in an in-home setting. Similar to how OTAs work in halfway assisted living homes, except these patients, may be slightly more independent. Sometimes people cannot perform certain tasks known as Activities of Daily Living (ADLs) due to their injuries or conditions. An OTA can help with various tasks, such as getting dressed, checking emails, making lunch and things of that nature. An OTA can act in an array of capacities in regards to home visits. This is good news for patients. It means they can remain at home and be comfortable. It is common for Hospitals to employ a staff of Occupational Therapy professionals including COTA (Certified Occupational Therapy Assistants). OTAs assist patients with their Activities of Daily Living (ADLs) during their stays in hospitals while they recover from their surgeries and other traumatic injuries. 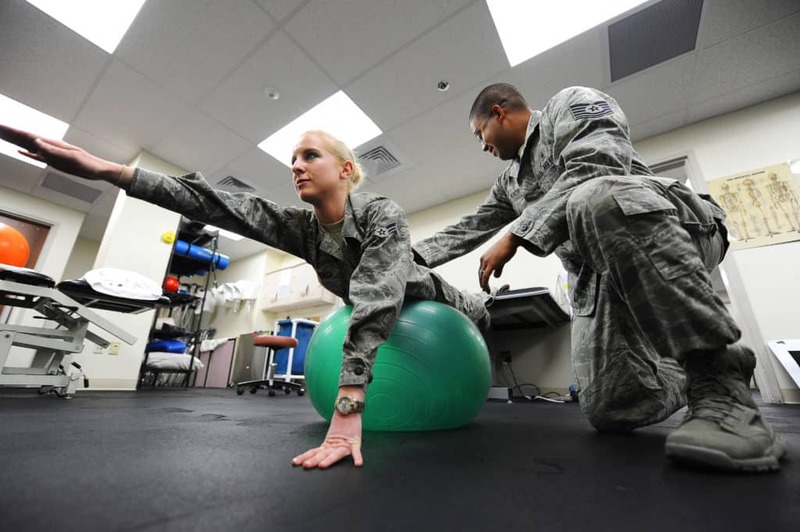 Occupational therapist assistants work with Occupational Therapists in the Military. Occupational Therapists plan and administer therapy plans that OTAs then help patients implement. The goals are typically to adapt to disabilities, regain independence performing ADLs, and prepare patients to return to their working position in the military. You can find Occupational Therapy Assistants working in all branches of the military helping members of the Army, Navy, Air Force, and Coast Guard. OTAs are employed in many different settings all the time. Some choose to work independently as contractors so they can work in a variety of places with a variety of patients. Generally speaking, OTAs work with many types of patients that range from all kinds of ages. They deal with patients with various health histories too. OTAs can work in traveling positions, providing services to a number of patients in a region. The professionals can be hired in many different scenarios. Some people hire OTAs to help take care of their elderly, young, or disabled family members. These scenarios may include everything from helping patients with personal hygiene and making coffee to record-keeping, occupations, engaging in their hobbies and many other tasks. OTAs are a crucial component within the healthcare industry. Those who work as one enjoy helping others and enjoy working in a field that is still rapidly growing. Not only that, but OTAs are generally paid very well for their services with a mean annual salary of $58,340. Nice job, you made it through our long list of places where occupational therapist assistants work. Now, if you aren’t an OTA, you can learn more about the job opportunities to see if the career would be a good fit for you. You may also want to learn more about school for occupational therapist assistants. If you are already working as an OTA then you can consider advancing your career and searching for opportunities in some of these places where occupational therapist assistants work. Did we leave out any places where occupational therapist assistants work? If so, leave a comment below and let us know where occupational therapist assistants work so we can add it to our list.